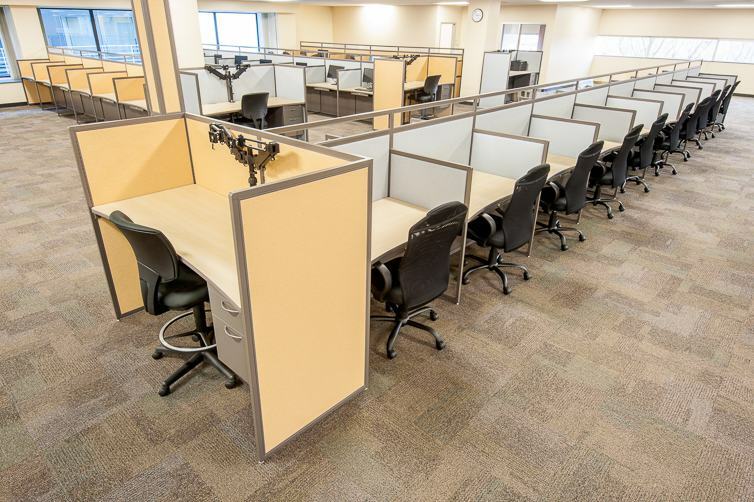 Interior Concepts has specialized in call center furniture for the past twenty years and we have thousands of installations across the country. 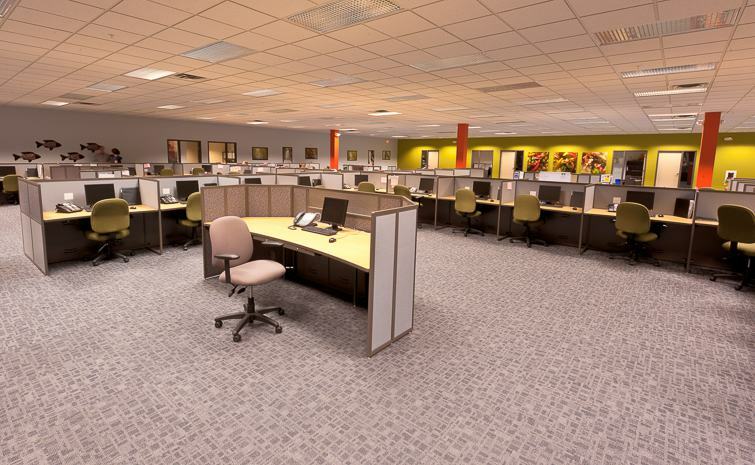 Since we focus on call centers we are familiar with the nuances of call center cubicles floor plan design configurations for your contact center. 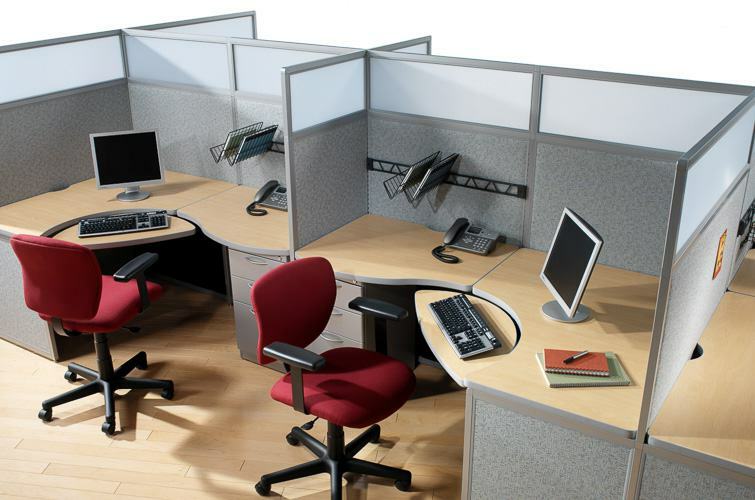 Interior Concepts does not manufacture furniture to fit in call centers, we manufacture furniture for call centers. 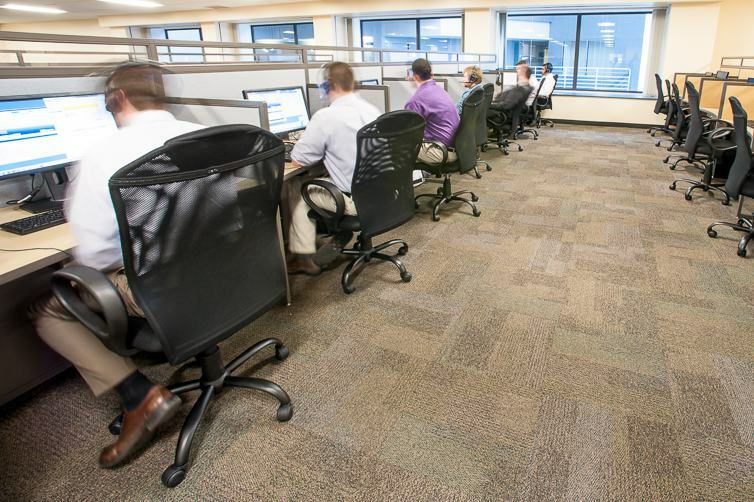 Our experienced sales managers will help to design furniture that fits your space and needs. 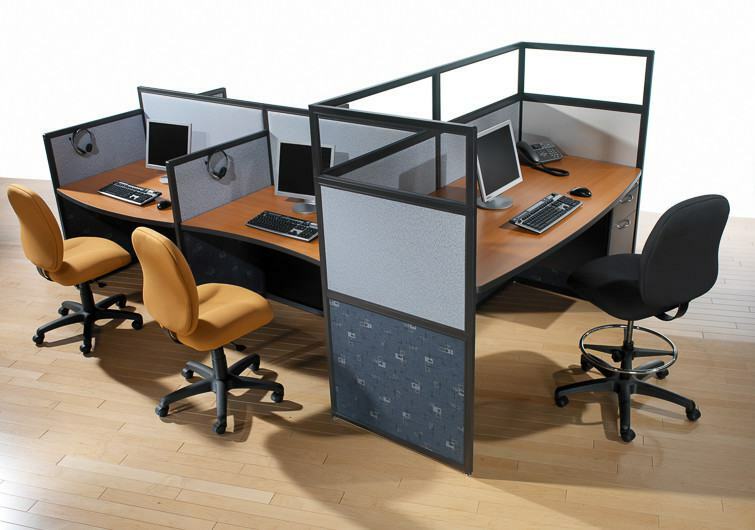 In addition to our design expertise we give you the ability to maximize floor space with our call center cubicles. Money spent on unused floor space is money that can never be recovered. 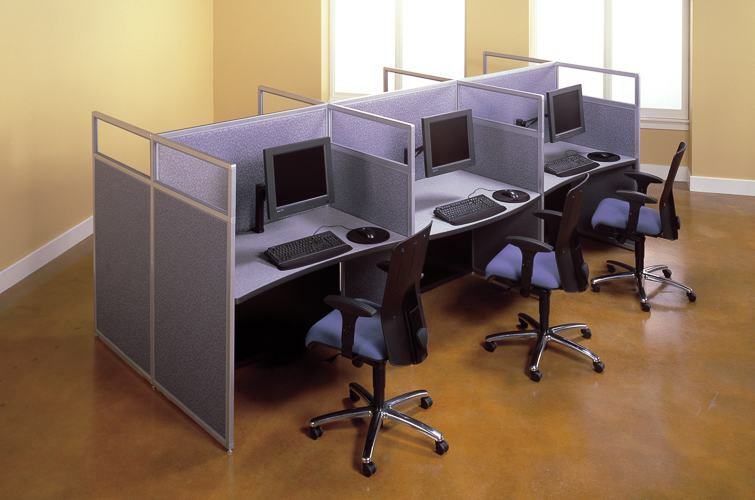 We offer you the best use of space because our furniture system is constructed of a unique 1-inch panel system, compared to the typical 2-3 inch panel. For once less really is more. Give IT easily access to technology while keeping cords and cables hidden out of sight. 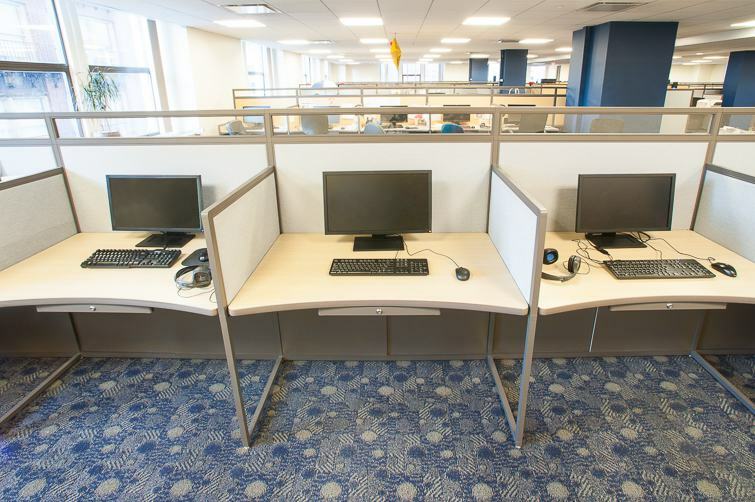 Our unique chase wire management system delivers up to 80 times more cable capacity than conventional panel raceways, keeping cords where they belong — out of sight. Some of our customers’ even store CPU’s in the chase system for added data security. 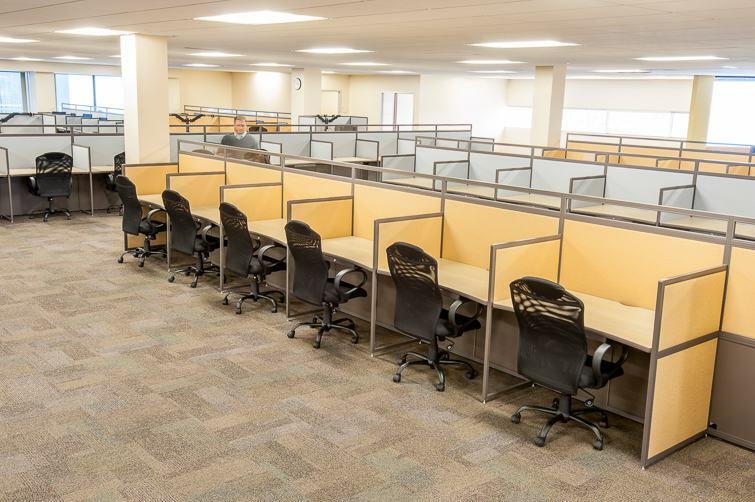 Speaking of security, when you choose Interior Concepts you will feel good about your furniture purchase because not only is our commercial office furniture made in the USA and MAS® Certified Green – it’s backed by a lifetime warranty so it will look like new for years. 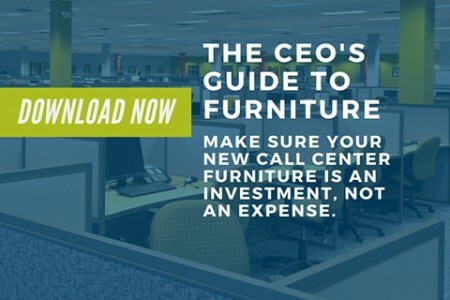 Download our call center furniture brochure to see design ideas or fill out the request a quote form to get started on your project.